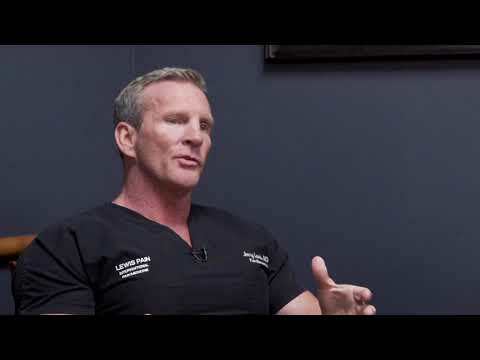 Dr. Jerry Lewis owner of Superior T discusses Platelet Rich Plasma (PRP) Joint injections. The platelet-rich plasma joint injections are performed in office. Once those platelets are harvested and spun down, they'll be injected back into the patient to stimulate growth and healing. Well, anybody who has a significant joint sprain, a ligament injury which has not been responsive to conservative therapy over a four to six week period, or somebody who is looking to ... who is a high-level performance athlete who's looking to get back to their sport as fast as possible, any of those particular patients are candidates for platelet-rich plasma therapy. PRP is not an extremely painful procedure. There is some mild discomfort experienced with the injection because the platelet-rich plasma has to be placed at the specific area of injury with a needle. PRP typically takes between 30 and 45 minutes to perform. Effects from platelet-rich plasma tend to be long-lasting and can, in fact, last for years, but we usually recommend getting two to three treatments. We counsel patients that the effects may take two to six weeks to start seeing an effect and may take a full six to nine months to see the full effects of the platelet-rich plasma. Platelet-rich plasma has been around for some time now. There's a lot of documented success with it, both in our hands, as well as in many clinics nationally.